Nashville, TN -- According to information released today by the Country Music Hall of Fame® and Museum, Keith Urban's April 10 We're All for the Hall benefit concert raised $465,000, bringing the event's three-year total to approximately $1.5 million. Nearly 14,000 fans packed Nashville's Bridgestone Arena to enjoy the one-of-a-kind show. Nashville, TN -- 2012 - 2005 CMA Entertainer of the Year and four-time Grammy Award winner Keith Urban, this year joined by an all-star lineup of some of country music's most loved groups including bluegrass super group Alison Krauss and Union Station, as they return to Nashville's Bridgestone Arena on Tuesday, April 10 for a concert to benefit the Country Music Hall of Fame® and Museum. The We're All For The Hall benefit includes reserved seating tickets, which are priced at a family friendly $25 and $35 (does not include Ticketmaster surcharge), will go on sale January 27 at 10:00 a.m. A limited number of VIP ticket packages will also go on sale on January 27 at Ticketmaster.com . Nashville, TN -- CMA Entertainer of the Year honoree and five-time Grammy Award winner Keith Urban and an all-star lineup of friends including bluegrass and acoustic artist Alison Krauss and Union Station will return to Nashville's Bridgestone Arena on Wednesday, January 18, 2012 for a concert to benefit the Country Music Hall of Fame and Museum. Reserved seating tickets, which are priced at a family friendly $25 and $35 (does not include Ticketmaster surcharge), will go on sale November 4 at 10:00 a.m. A limited number of VIP ticket packages will also go on sale on November 4 at Ticketmaster.com. Los Angeles, CA -- Individual balcony seats for the Country Music Hall of Fame and Museum's All for the Hall Los Angeles fundraiser, taking place Tuesday, September 13, at L.A. LIVE's Club Nokia, will go on sale to the public on Saturday, August 20, Museum officials announced yesterday. Nashville, TN -- The Country Music Hall of Fame and Museum's All for the Hall fundraiser will return to Los Angeles for a third consecutive year. 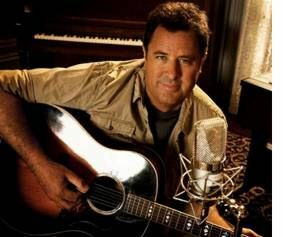 The event, which will take place on Tuesday, September 13, at Club Nokia, will again follow a "guitar pull" format featuring performances by Country Music Hall of Fame members Vince Gill and Emmylou Harris, and Sheryl Crow and Zac Brown.